Although they’re generally larger than other ants, size can’t always be used as an identifying feature with carpenter ants. 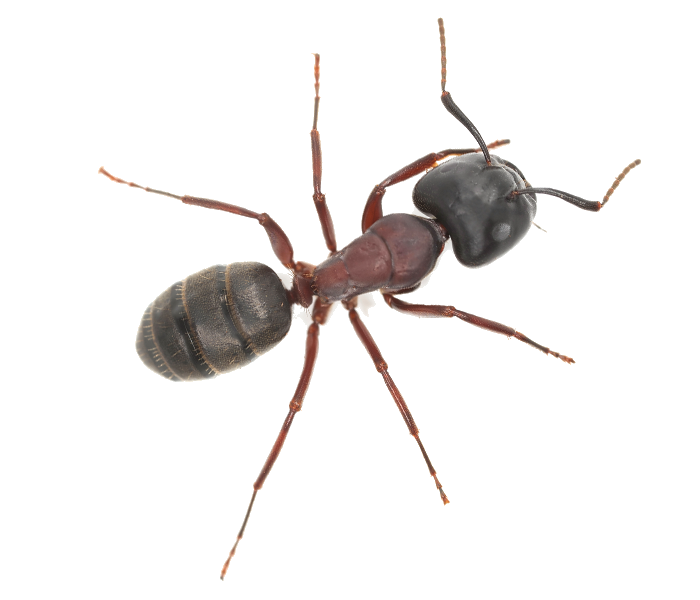 Carpenter ants are polymorphic which means they can come in a variety of sizes. emerging from around baseboards, window casings or vents. They usually emerge in spring or summer and if you see any more than 20, it may indicate the presence of a large colony. if you hear a crunching sound it could be the sound of rustling from their nests in wood in your home. Nests are usually built in wood structures and can also be found in wall or ceiling voids. as nests become established in wood, carpenter ants often leave behind a trail of sawdust, which usually leads back to the nest. carpenter ants tunnel through wood to create their nests, creating ‘galleries’ in wood, which have a clean, smooth and sandpapered appearance. To learn more about ant infestations and how to get eliminate them safely from your location, contact a CJ Pest Solutions specialist for a free assessment. Store fire wood away from your home and keep it dry and elevated to allow air circulation – firewood is one of the easiest ways to carry these ants into your home, so make sure you check the wood for signs of infestation. For these reasons, we recommend that you contact a professional pest controller with years of experience, CJ Pest Solutions 617 285-1000, to get rid of the Carpenter ants for you with a guarantee they will not show up for the remainder of the year.